New for 2018 onwards, our grip trainers perform just as well as ever with an updated aesthetic. Don’t you hate it when a really big guy with an awesome moustache shakes your hand and crushes it into dust? Don’t you wish you had a grip like Tom Selleck? 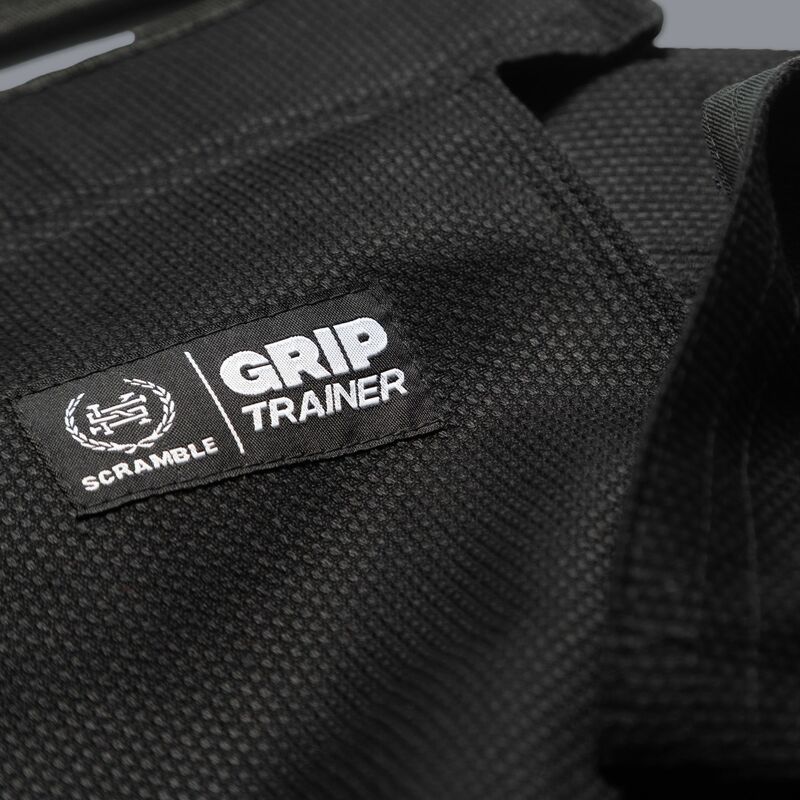 Well you can have the grip to end all grips thanks to the Scramble Grip Trainer. We put our heads together for quite a while to come up with the simplest way to make the most effective grip trainer. And this is the result. 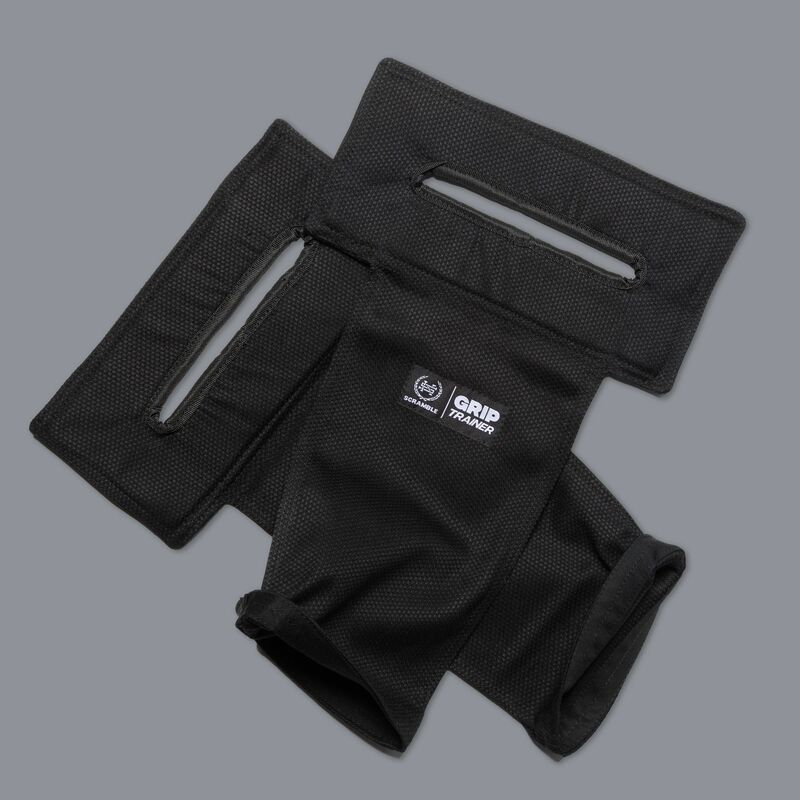 It’s made from strong 550gsm pearl weave BJJ kimono fabric, and it attaches easily to pullup bars and kettlebells and similar items. Practice your lapel grip, spider guard grip, pistol or joystick grip… the possibilities are endless. Whatever grip you can do on your opponent, you can do on this. 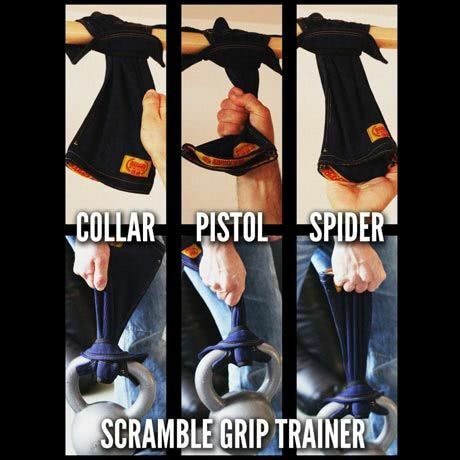 Improve grip strength for jiu jitsu, judo, no gi and even MMA with the Scramble Grip Trainer. 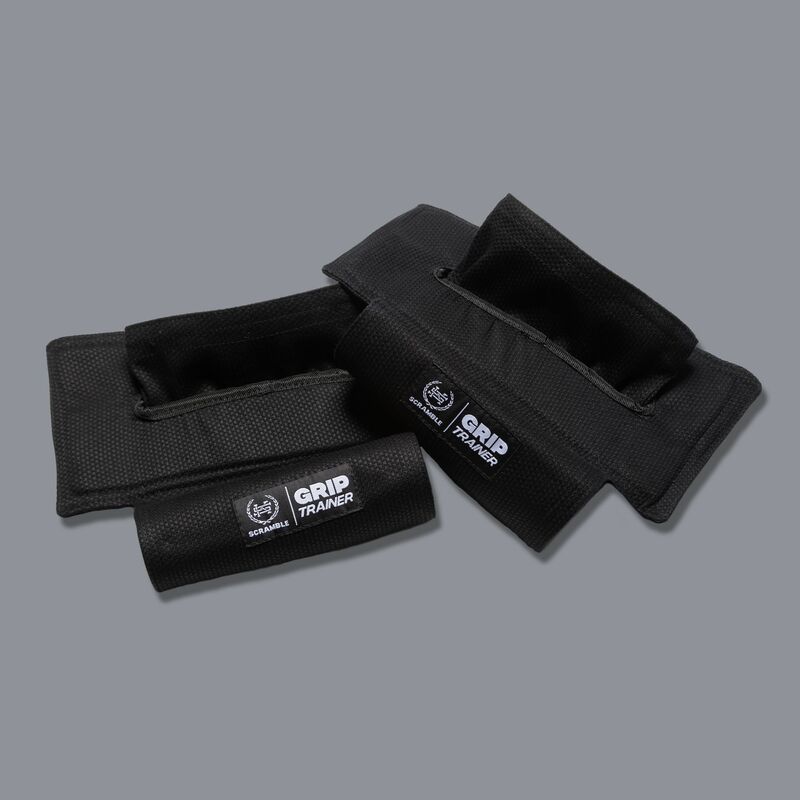 Each order receives a pair of grip trainers, that is two (2) grip trainers.